XENIA & BEAVERCREEK — Frank Farkash works to make a difference in patient care at all levels as the new quality director for Greene Memorial Hospital and Soin Medical Center. Farkash began his career in critical care because he was drawn to helping people. He was inspired to attend nursing school at Southern Adventist University and worked to achieve his master’s degree. Farkash came to Kettering Health Network in 2016 after working in a trauma center in Chattanooga, Tenn. 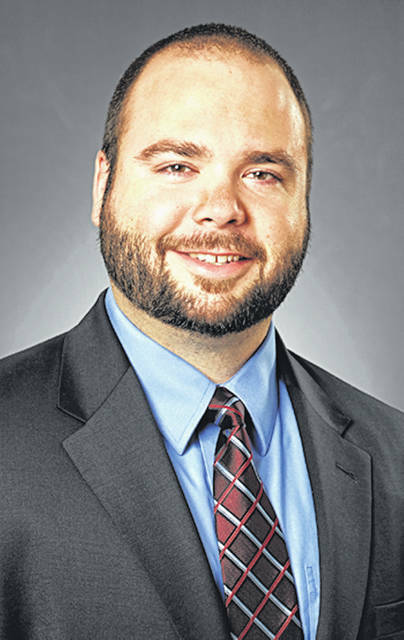 He then worked in the critical care unit at Kettering Medical Center and later served as ICU manager at Greene Memorial Hospital before accepting his new role as quality director in April. He praises the leadership and staff at both hospitals for working together at all levels of care. The new quality director explained his clinical background provides him extra insight into all aspects of care and an ability to focus on working with physicians and staff of all levels each day. Farkash and his wife, a nurse practitioner with the Kettering Health Network, live in Beavercreek close to family. They both enjoy spending time biking and being involved at the Seventh-day Adventist Church. “I enjoy taking care of people and serving them the best way possible each day,” said Farkash.